Hear the bass that you’ve been missing—the JBL CX1200 Series offers a frequency response that delivers the full-range of low-end response associated with exceptional sound. Testing JBL tests every speaker design to the same rigid specifications as the automakers, subjecting them to extreme conditions that would break lesser speakers. We freeze them, bake them, shake them, blast them with ultraviolet light and drive them at full power for days to make sure your audio investment lasts for years. Powerful and affordable upgrade to your existing car speakers—ideal for audio enthusiasts who want great sound and bass that performs without breaking the bank. 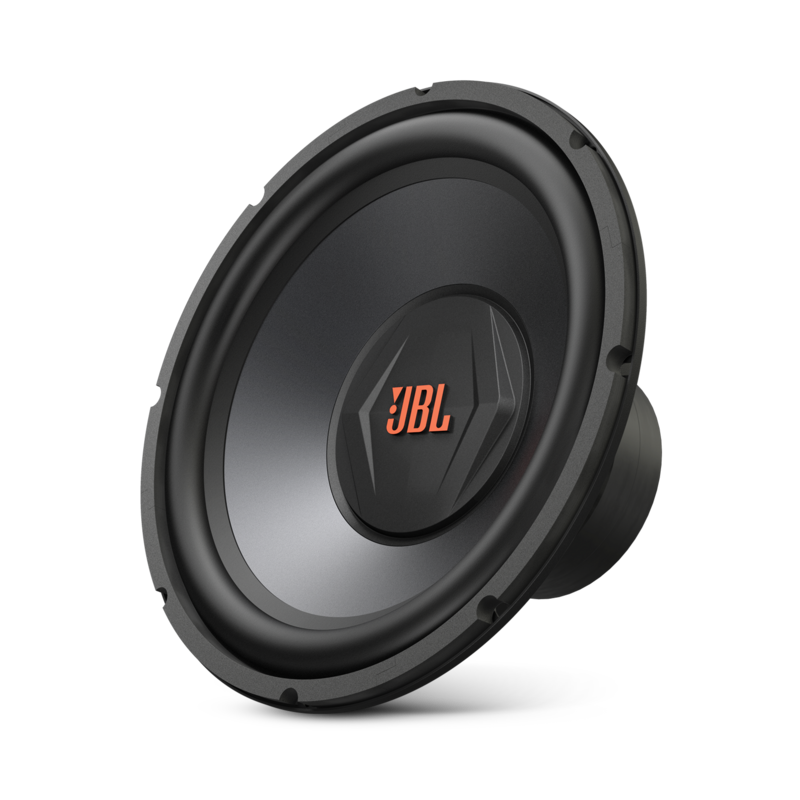 The JBL CX1200 12" subwoofer is an awesome upgrade to your existing car speaker. With 1000 watts of peak power handling and a frequency response of 35Hz – 200Hz you’ll hear a wide range of bass that’ll make even studio engineers jealous. Low levels shine through, too, thanks to its high sensitivity of 90dB. 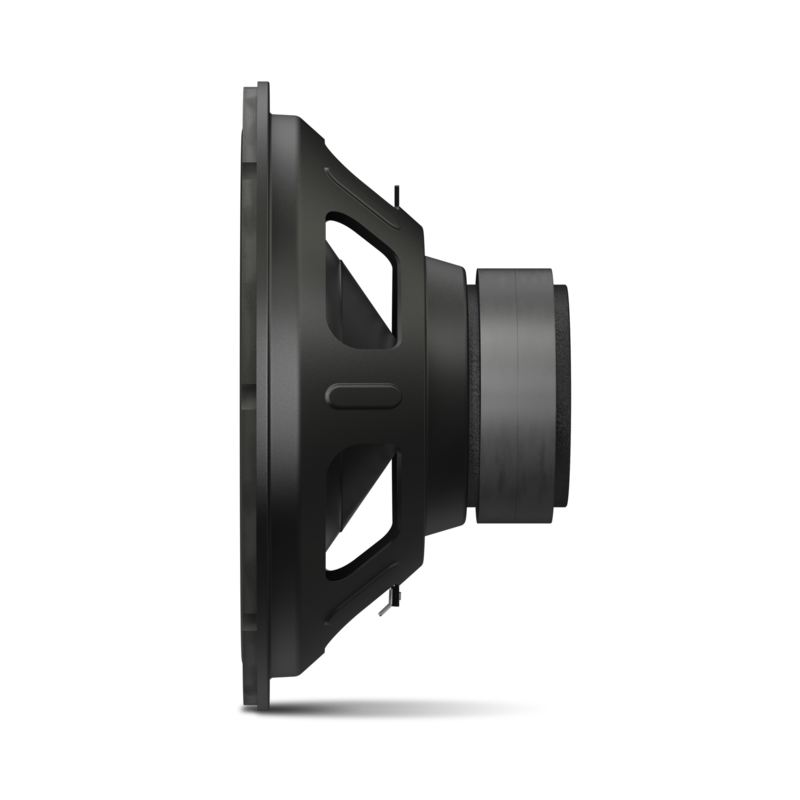 The CX1200 is equipped with a polypropylene woofer cone, which ensure maximum efficiency and reliability, and uses a progressive spider, which offers better control at excursion limits and helps reduce distortion. If you want a great-sounding, affordable upgrade for your ride, the CX1200 is a no-brainer. CX1200 is rated 3.8 out of 5 by 5. Rated 5 out of 5 by bass_brian239 from great i bought this subwoofer for 30 dollars at best buy and it was the best 30 dollars i've ever spent. Rated 5 out of 5 by DaveJ from Not Just For Car Audio I bought a set of these locally to replace some older woofers in my home speakers that had seen better days. Since the CX1200 is 4 ohm, it was a "drop right in" fit from an impedance stand point. I also didn't have to deal with overkill binding post that some car woofers have. The CX1200 has the normal clips. These woofers sound quite a bit better than the originals. They "blend" right in with the midrange. Rated 4 out of 5 by dustinduse from Not what I wanted but GOOD! These went on sale last Black Friday at Best Buy for 30$ And it blew my mind they was so CHEAP! So I went down picked up two, a sealed box, and the CLUB-5501 Amp. I have GTO 6-1/2 inch rounds in the front doors, and GTO 6x9's in the rear deck. These finished off my full JBL car setup. While I have been severely impressed by the speakers these subs fell short of what Ive come to expect from JBL. I understand to get the performance I am looking for I would need a ported box. But there is a large range of bass that these just don't produce very well. Sadly when I look around for JBL subs there are not many options these days. Don't get this review wrong. These are amazing subs. On par if not better then anything at this price point! With the quality of JBL to back them up. Within the first 2 days of owning these they got a 4 hour road trip of being cranked to the max. I will change my review if I ever manage to kill my JBL setup. Until then I will preach JBL to anyone that comments on the superb clarity of my car's audio. Rated 4 out of 5 by Yup yup from Good product I like it. Does the job well. I've yet to encounter a jbl product that wasnt of at least decent quality. Rated 1 out of 5 by Hittz from FAIL I bought this sub 2 weeks ago and bought a amp that matched its specs, I had the system professionally installed and it worked fine for two weeks. I had it benched and the sub is dead. Not what I have come to expect from JBL. Is this Subwoofer 2 ohm or 1 ohm compatable? No, this subwoofer has a nominal impedance of 4 ohms. will the club 5501 amp work with this sub? Do you guys recommend 1&quot; MDF or 3/4&quot; MDF. Also I'm looking at a box that is 1.25 cubic feet, I know you guys recommend a 1 cubic feet box. Would a 1.25 cf enclosure work properly? If I have my Low Pass Filter set to 25 Hz when the sub is rated for only 35 Hz, will it harm the sub or will the sub have a built in feature that will block those type of frequencies? The CX1200 is rated to safely handle 250W of RMS power. Any amplifier that is rated to drive 250W of power or lower and can safely handle a 4-ohm speaker would work beautifully. I have two of the Cx1200 subs. The specs call for 1 cubic ft per sub on a sealed enclosure. I have an enlcosure but the volume is about .80 cubic ft. Will this damage the sub? Hi, The volume of the enclosure provided is made for an ideal listening frequency, while a little change in the volume may alter the frequency it provides but the difference can barely be heard by the normal human ear so it should be fine. Thanks for reaching out, our apologies for the inconvenience and delay in response. 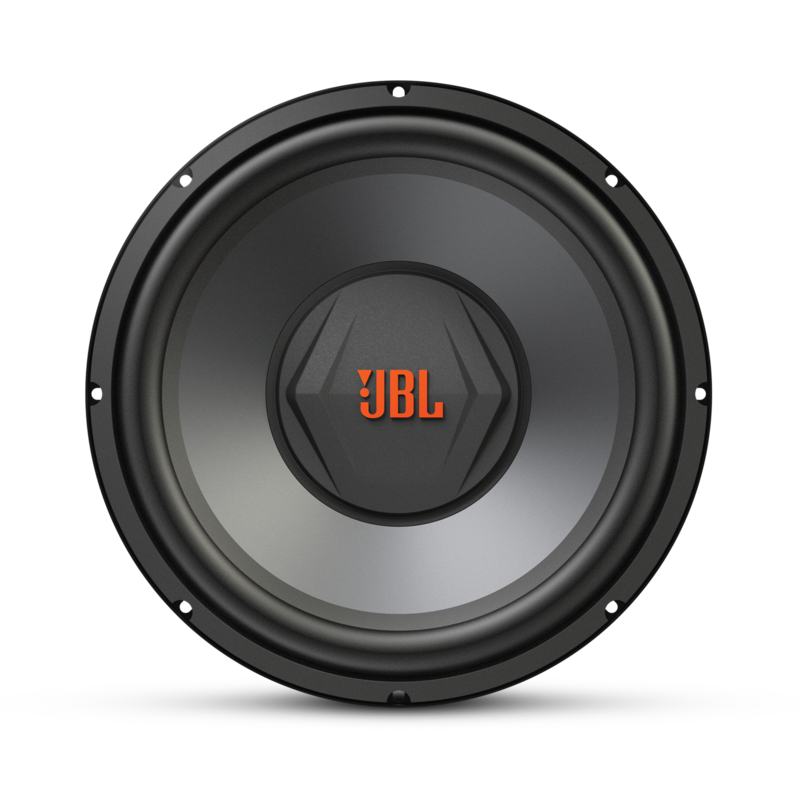 The JBL CX1200 has the same sensitivity and ohms rating as the JBL GX1200. But the CX1200 is rated to have a frequency response of 35Hz &ndash; 200Hz and power handling of 250W RMS, while the GX1200 has a frequency response of 23 - 450Hz and power handling of 300W RMS. I want to get 2 of theses woofers what amp And box aswell as wire would you guys recommend?